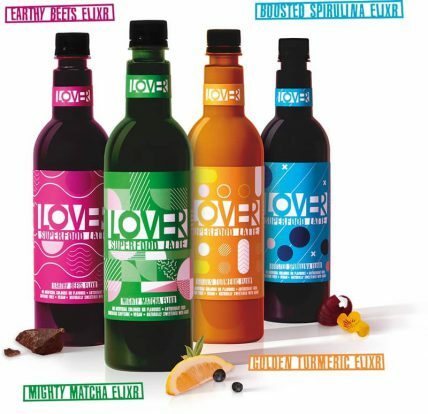 A colourful, highly nutritious superfood beverage range has been launched by new Sydney-based beverage company Lover Latte. The range responds to the increasing café-consumer demand for alternatives to traditionally served coffee and teas. Lover Lattes are crafted from natural ingredients including powerful antioxidants and recognised superfoods. Flavours include Earthy Beets, containing beetroot and black carrot juices, Mighty Matcha, a matcha-infused green elixir, Boosted Spirulina, containing arguably the most nutritionally dense superfood on the planet, spirulina, and Golden Turmeric, containing a dosage of the powerful anti-inflammatory turmeric-derivative curcumin, flavoured with chai-style spices. The range makes use of low-GI, Mexican agave for a touch of sweetness. Consumers may be motivated by the differing, claimed health benefits of each of the variants within the range, including improved blood pressure, boosted cognitive capacity and heightened athletic performance and endurance. In addition, the range uses natural ingredients and is 100 per cent vegan. Lover Lattes are conveniently packed into café-friendly pump-serve, recyclable packaging.